 Hover over the festival illustrations below (on the right) and the related part of the Menorah (on the left) will light up. The title of the festival will also be displayed and you can click on the image to read more about it. 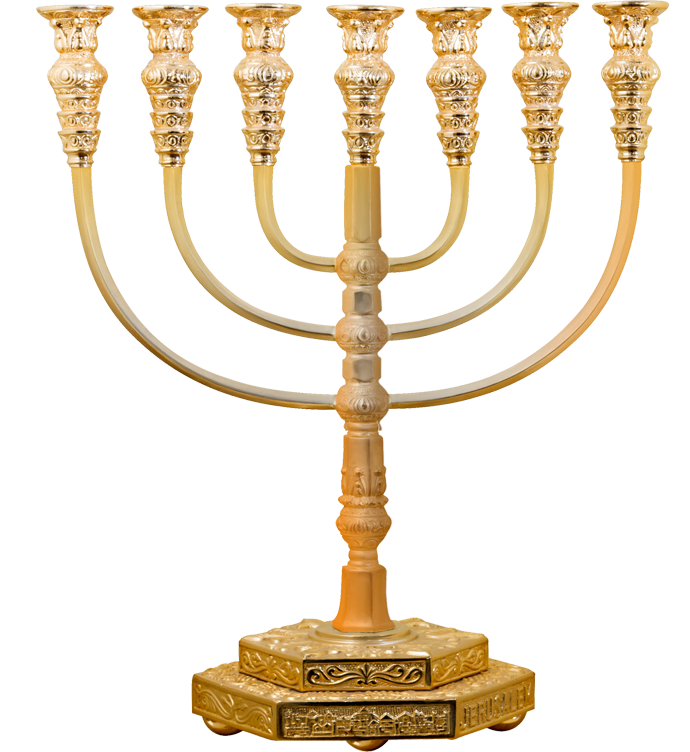 You can also hover over the parts of the Menorah and as they light up, the related festival image will be highlighted. 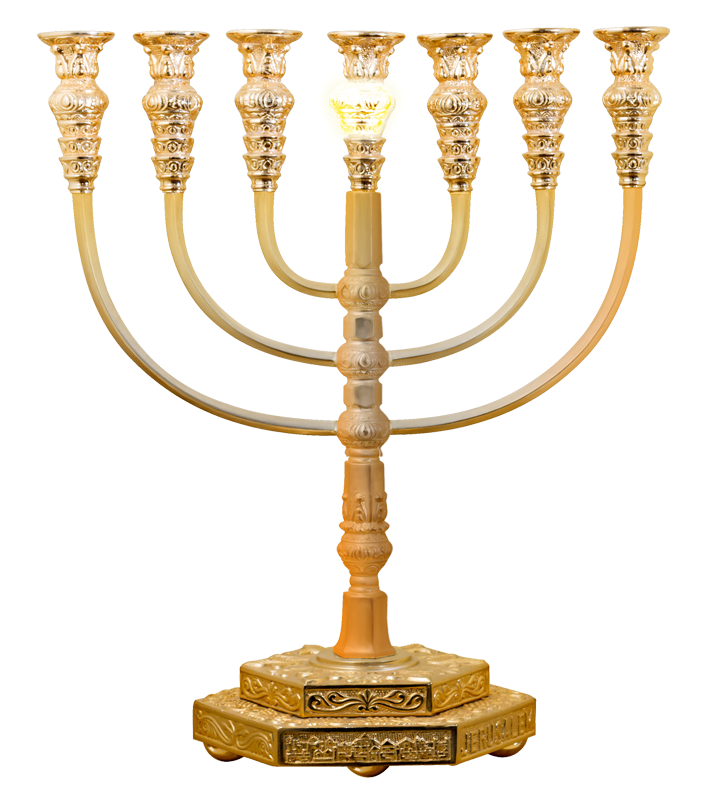 The oil in the Menorah represents the Holy Spirit. All spiritual life is sustained through the Holy Spirit who is the nourishment of the Tree of Life. 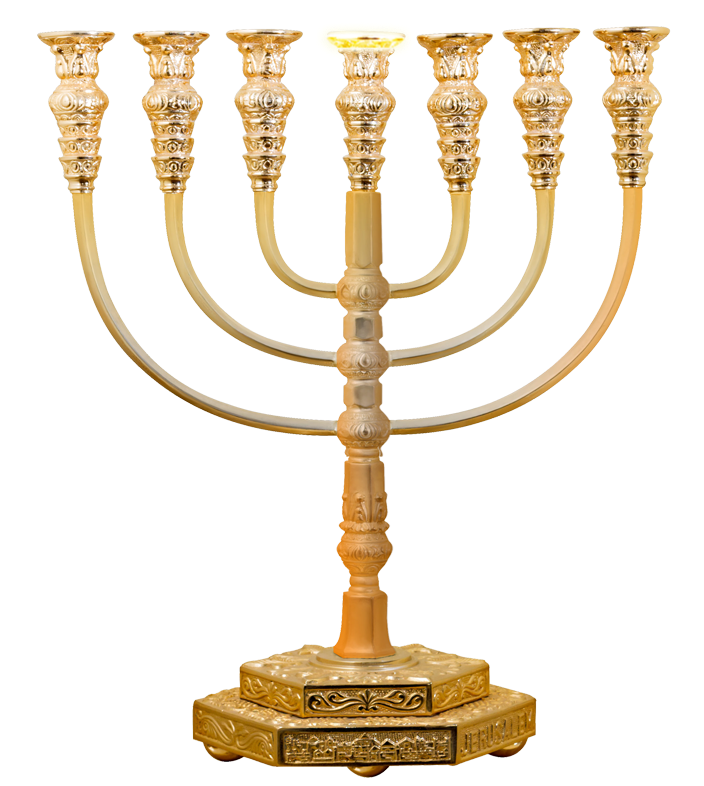 The Base is the root of the Tree of Life and represents God. 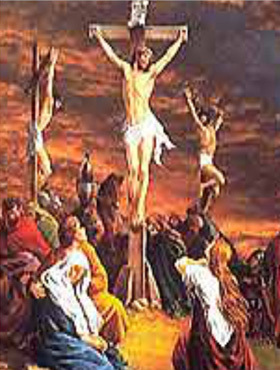 The base stands on three legs representing the Trinity, God the Father, God the Son and God the Holy Spirit. 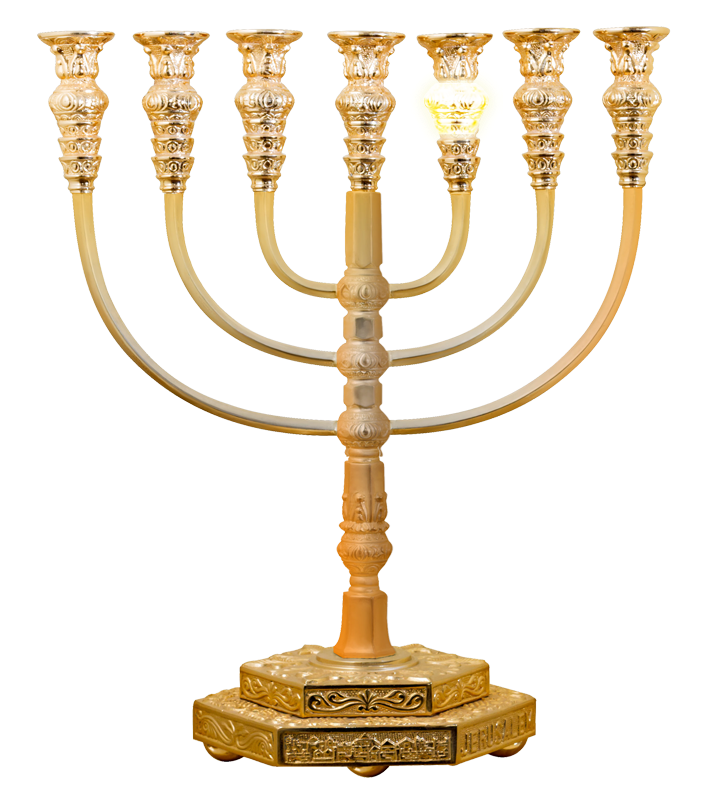 The stem extending from the base, representing God, supports the Tree of Life. 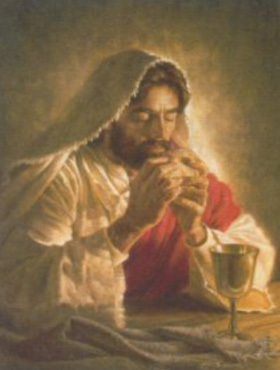 The bud on the first branch above the cups depicts the Feast of Passover (Pesach) ordained by God. 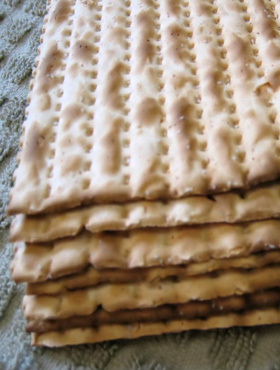 The bud on the second branch above the cups represents the Feast of Unleavened Bread (Pesach) ordained by God. 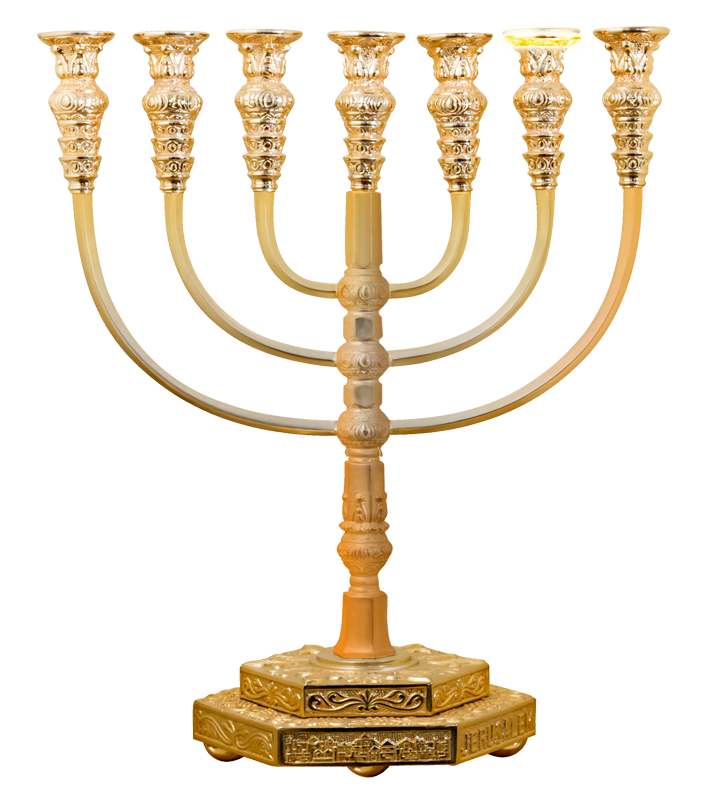 The bud on the third branch above the cups represents the Feast of First Fruits (Pesach) ordained by God. 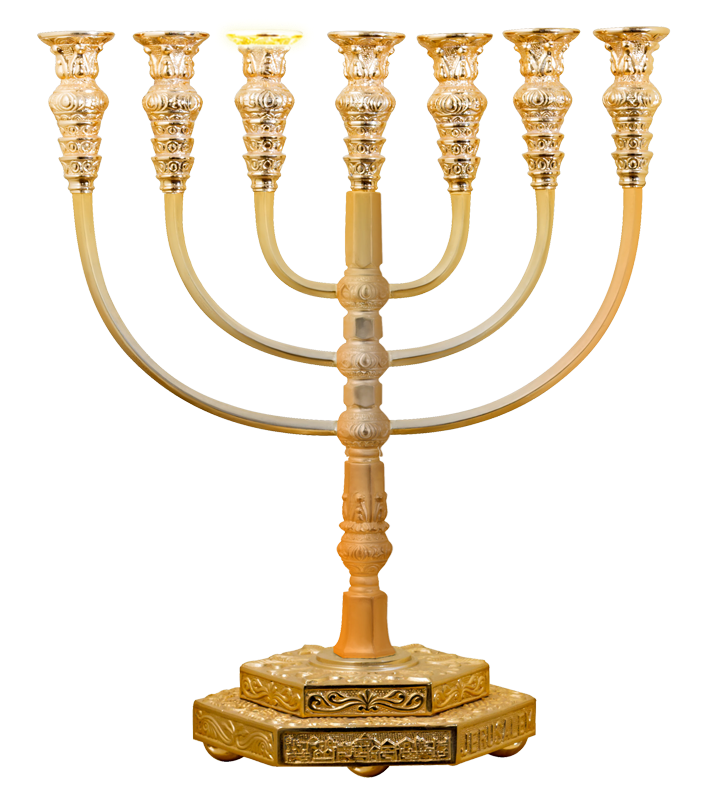 The bud on the fourth branch above the cups represents the Feast of Weeks (Shavuot) ordained by God. 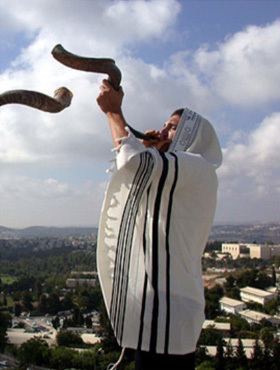 The bud on the fifth branch above the cups represents the Feast of Trumpets (Rosh Hashanah) ordained by God. 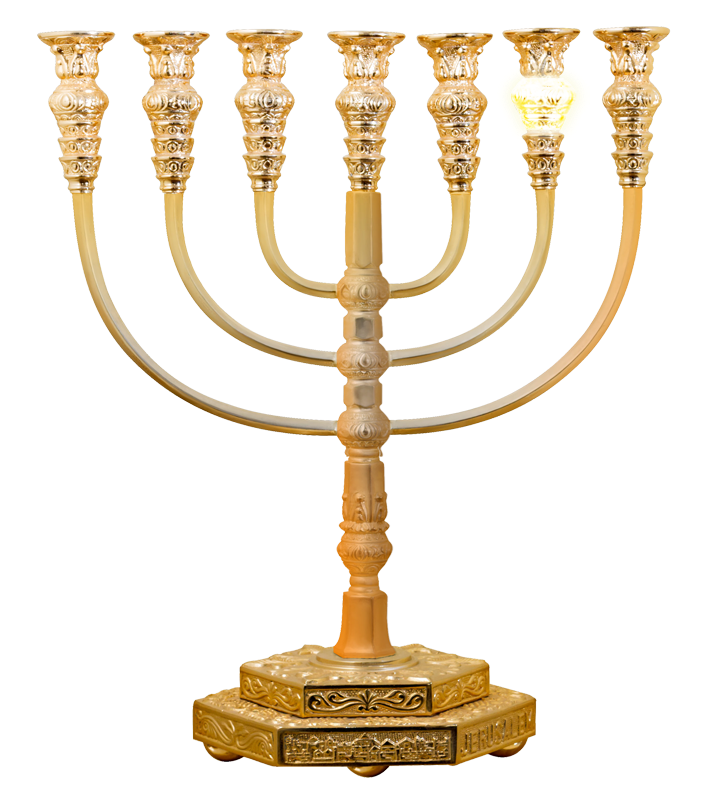 The bud on the sixth branch above the cups represents the Feast of the Day of Atonement (Yom Kippur) ordained by God. 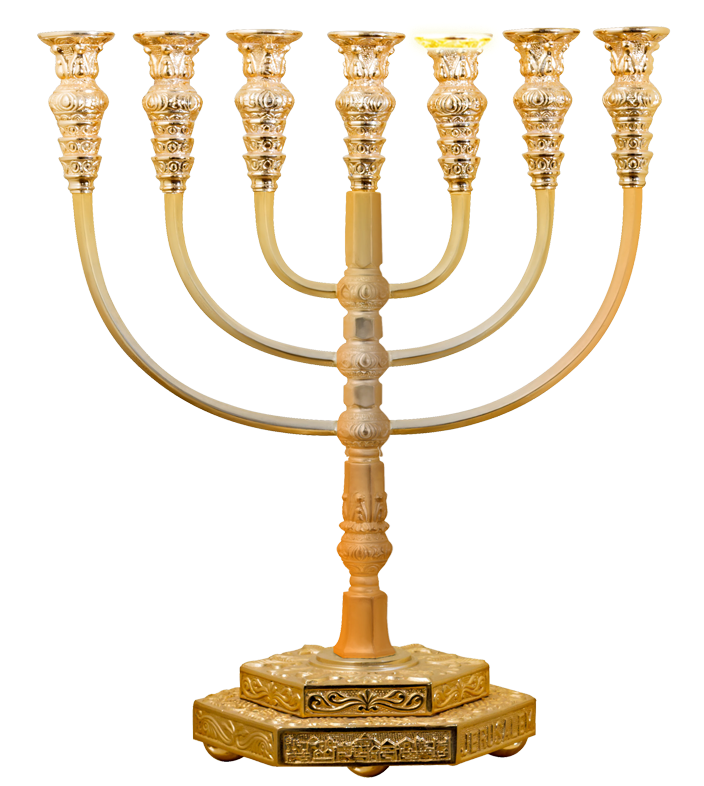 The bud on the seventh branch above the cups represents the Feast of Tabernacles (Sukkot) ordained by God. The first bud between the base and the start of the branches represents God and his life giving plan for mankind. There are three fruits on each bud. Earlier Jewish writings describe these fruits as apples, representing God the Father, God the Son and God the Holy Spirit. 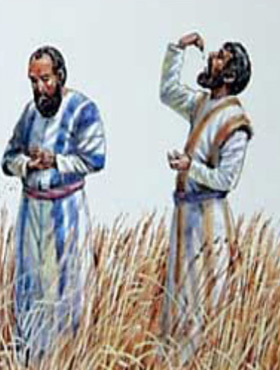 The second bud on the stem joins the branches from the Feast of Passover/Crucifixion to The Feast of Tabernacles/the start of the Millennium with Jesus as King, represents what God has and will do in these linked festivals and their manifest truth. The branches interconnect through two fruits on the bud, representing Jesus Christ and the Holy Spirit. 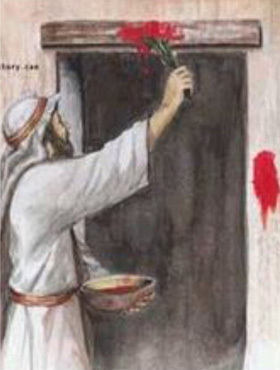 The third bud on the stem joining the branches from the Feast of Unleavened Bread/Jesus Death and Resurrection to the Feast of the Day of Atonement/Salvation of Israel, through the same two fruits described in the first bud. 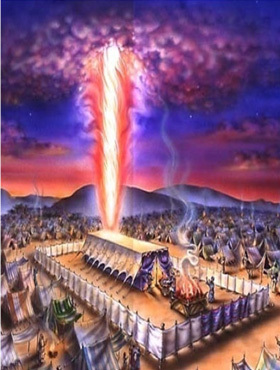 Once again this illustrates what God has and will do in these linked festivals and their manifest truth. The fourth bud on the stem joins the two branches and stem from the Feast of First Fruits/Jesus Death and Resurrection to the Feast of Weeks/Pentecost in the centre onto the Feast of Trumpets/Rapture, through the identical two fruits. 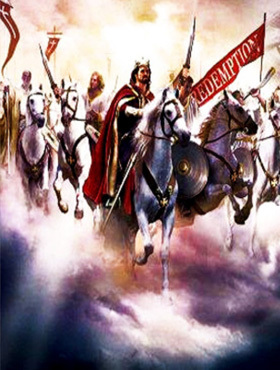 The three festivals and their fulfilment include the Old Testament Saints who were resurrected from Abraham’s Bosom after Jesus Christ was resurrected, and all those who received salvation since Pentecost until the Rapture. The flowers between the buds above the cups and the lamps are recorded to be similar to opening rose buds which illustrate the period of transition to the next manifested appointed time, depicted by flowers which bloom from the bud and show the splendour of what they were created for. 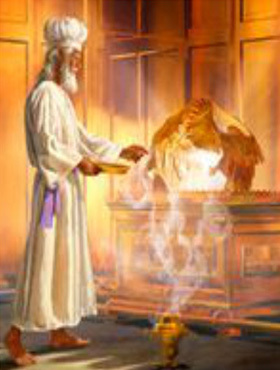 In these instances, each Festival of the Lord manifests the glory of its intended fulfilment of truth at God’s Appointed Time. 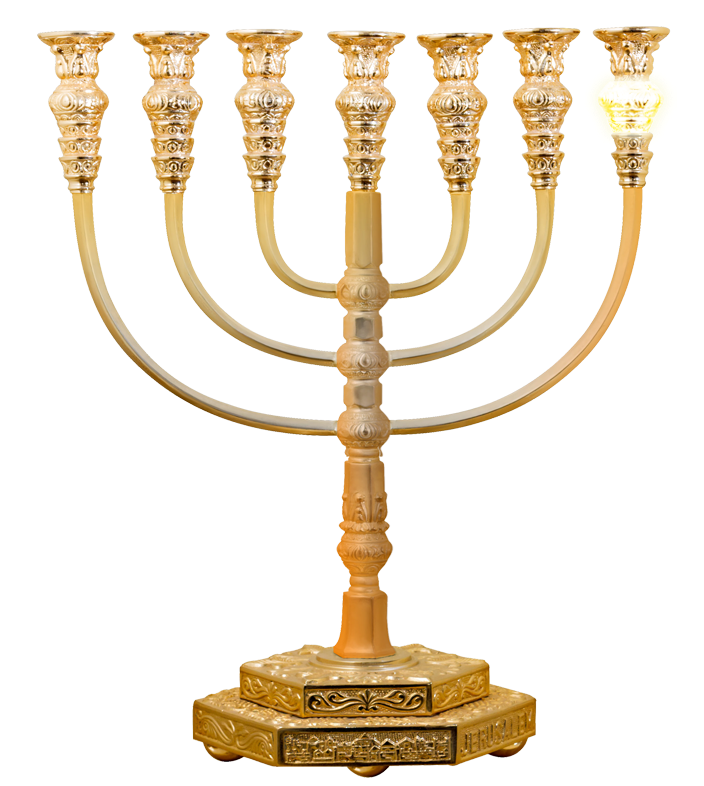 The lamps (candle holders) represent the fulfilment of “The Appointed Festivals” originally ordained by God. The lamps were boat shaped and faced inwards to the centre lamp indicating the order of fulfilment of the festivals. These three lamps (candle holders) represent the fullness of all that was attained through the sacrifice of Jesus on the cross, the Lamb of God slain for the sins of the world. 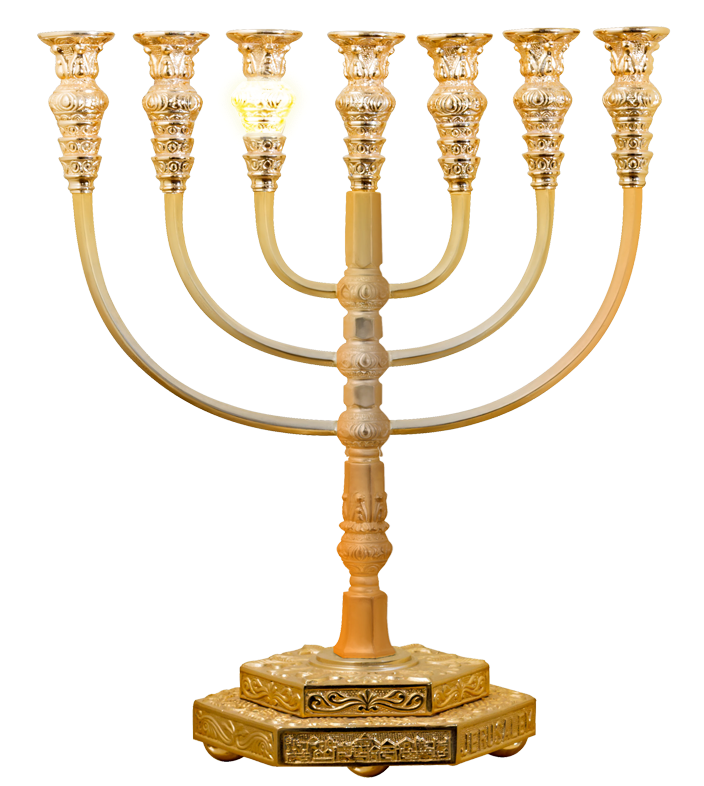 The centre lamp (candle holder) represents the most significant manifestation of all. 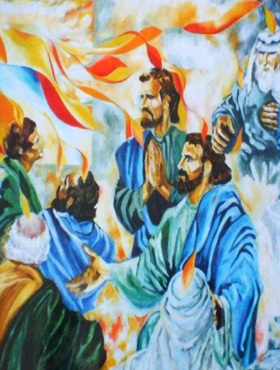 It was the coming of the Holy Spirit at Pentecost, the birth of the true Church, also known as the Bride of Christ which ushered in the “Age of Grace.” This was the beginning of every believer in Christ, who is baptised into the Body of Christ by the Holy Spirit and baptised into the Holy Spirit by Jesus Christ. 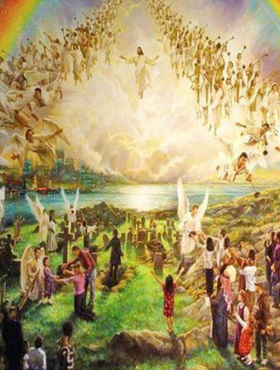 The Age of Grace lasts from Pentecost until the Rapture of the Bride of Christ to Heaven. 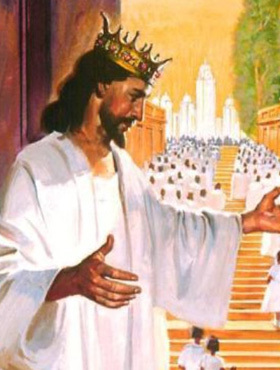 Through salvation, believers became known as a chosen people, a royal priesthood, a Holy nation, God’s special possession, that they may declare the praise of him who called them out of darkness into his wonderful light (1 Peter 2:9). 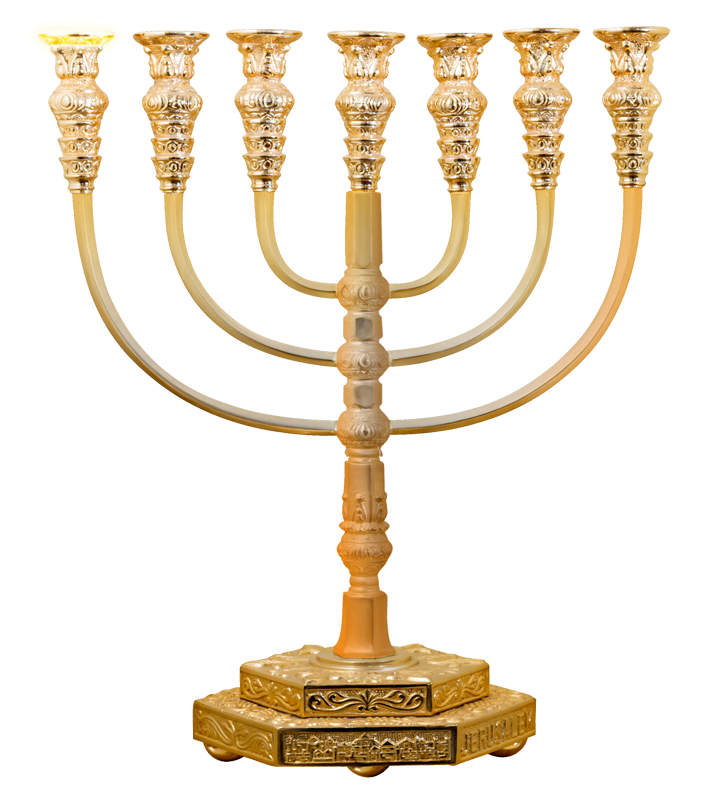 The first linking of branches in the Menorah is between of the Crucifixion (the suffering servant) and Jesus Christ the Triumphant King at the end of the present dispensation leading into the Millennium. 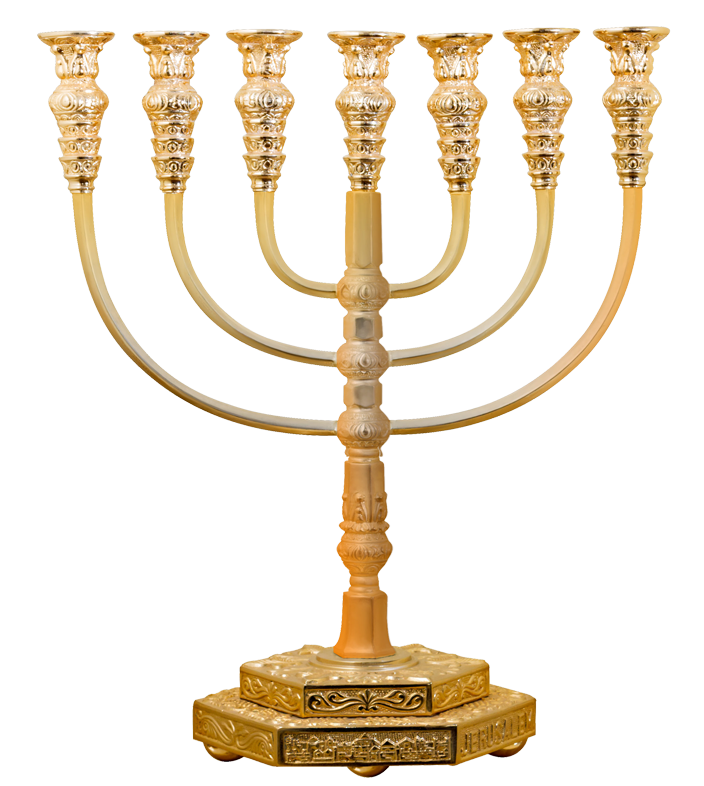 The second linking of branches in the Menorah is between the death of Jesus Christ and his resurrection, the Lamb of God without sin, the perfect sacrifice and the salvation of Israel when Jesus Christ saves all of Israel and all other gentile believers in one day when he returns to earth. 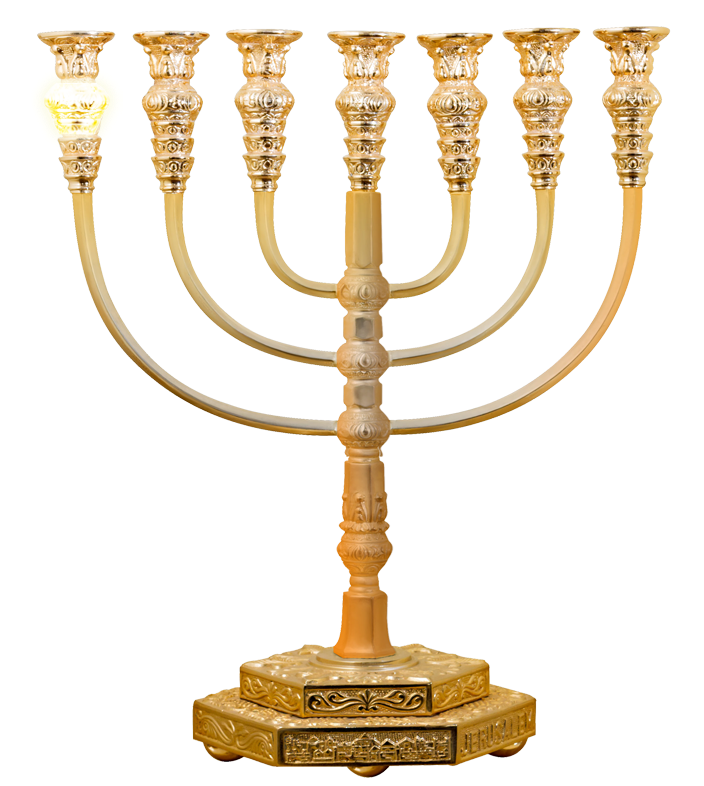 The third linking of branches in the Menorah is between Jesus Resurrection (the first fruit of resurrection and the Old Testament Saints resurrected from Abraham’s Bosom) guaranteeing all future believers eternal life. 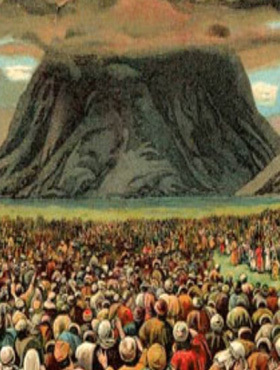 This was accomplished at Pentecost and was the start of the “Age of Grace” to be concluded at the Rapture. 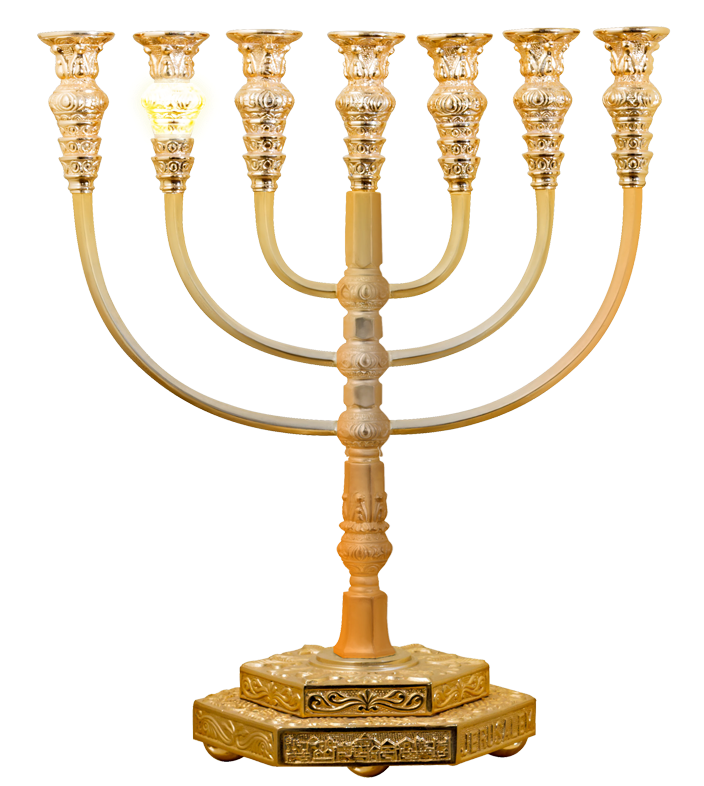 All readers are encouraged to view the Menorah as pictured in The Temple Institute’s official website which reflects the closest authentic Menorah. 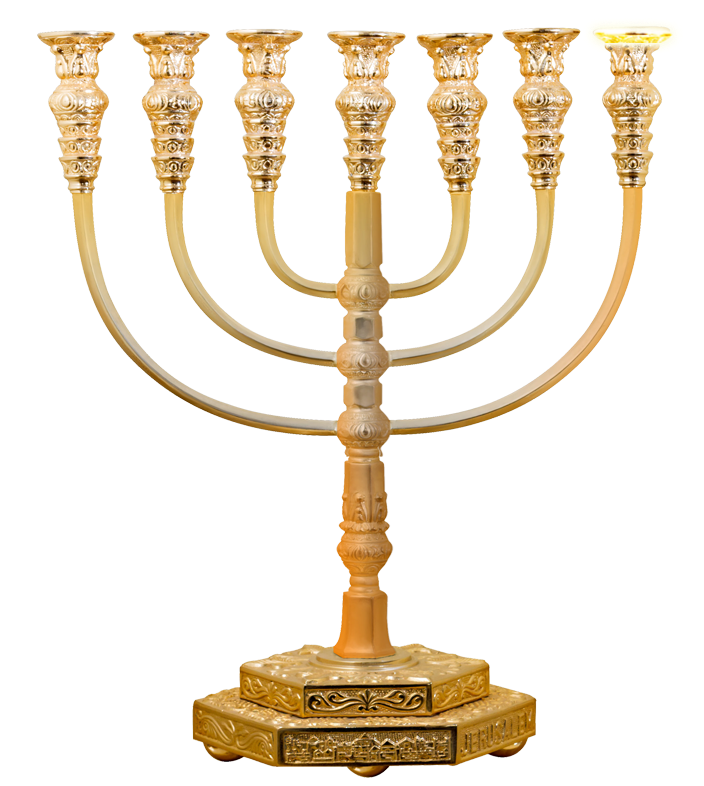 Permission was sought to use this Menorah within this website, but was denied. 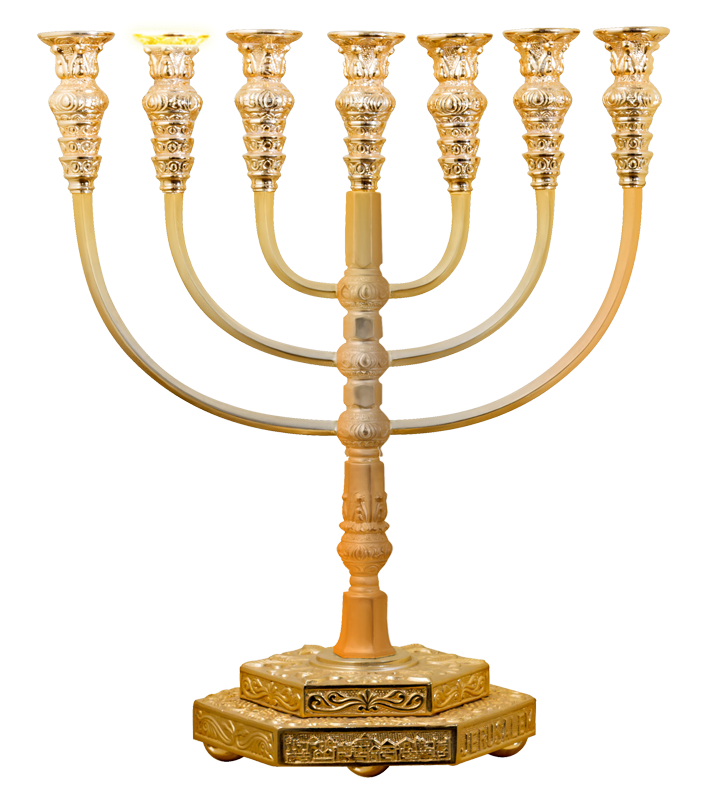 The Menorah chosen was purchased from Shutterstock which resembles the one in Jerusalem at the Temple Institute. 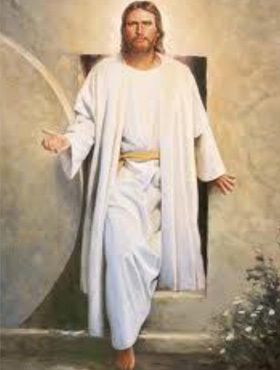 A free download of the book, “Divine Revelation of the Baptisms” is also available on this website.